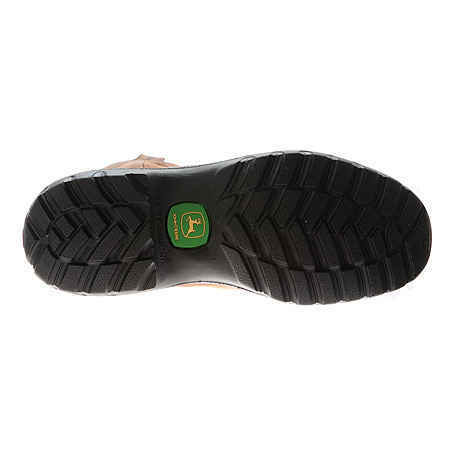 This John Deere 4604 Men’s Pull-On 1-1/2 in. 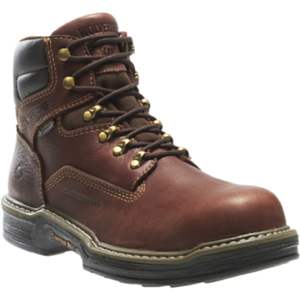 Heel Steel Toe Work Boot fits well and is ready to give you a full day’s work. 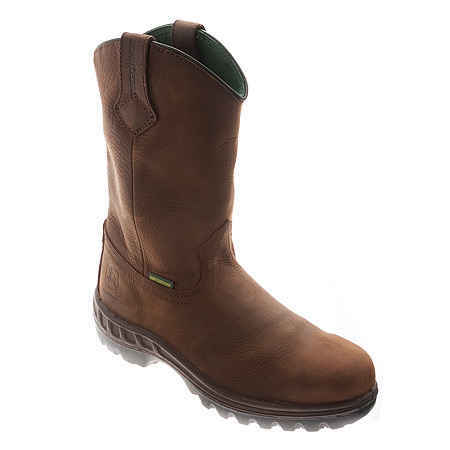 Work safely with the John Deere 12 Inch Tramper Waterproof Wellington Safety Toe boot. 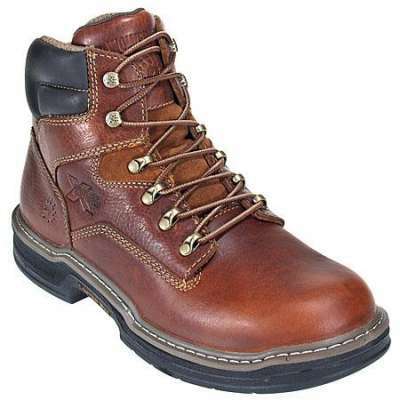 This men’s pull-on boot features a leather upper with pull-on tabs in order to aid in the on/off process. 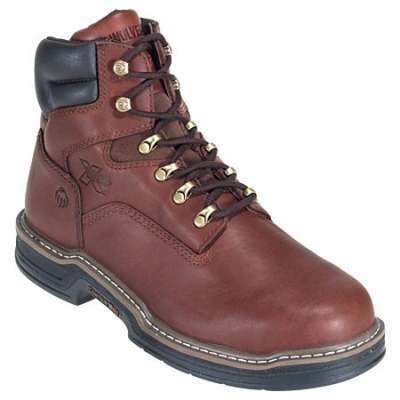 The safety toe, as well as electrical hazard protection, create peace of mind. 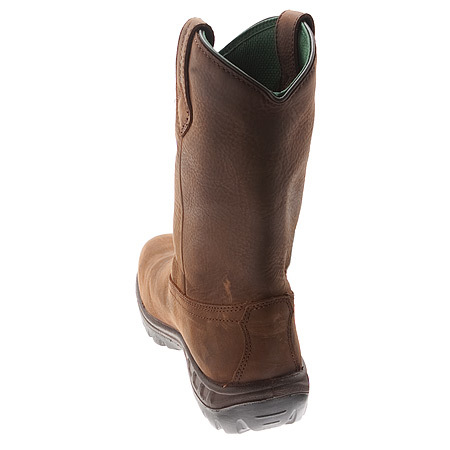 A steel shank offers support, while a removable air flow orthotic insert provides comfort. 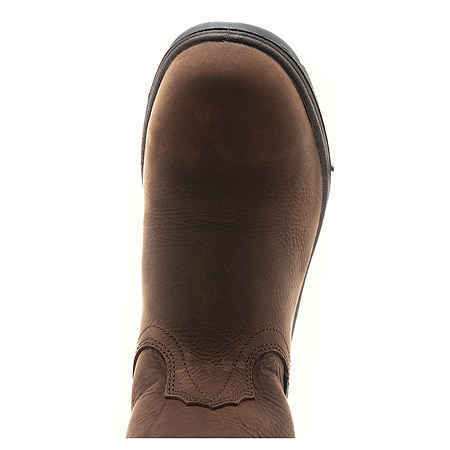 The Cambrelle lining with Agion antimicrobial treatment manages moisture for a healthy foot environment. A lightweight injected polyurethane outsole delivers traction.